Just a bit of this and that. Keith/Attending LDSBA: Usually, individuals cannot come to the LDSBA convention. Some publishers schedule book signings during the convention and provide name badges for the authors, but usually only those who have a new book the publisher wants to promote. You can purchase a name badge at the door for $25, but this is NOT the time to be talking to publishers. They are busy promoting authors they already have and selling their books to the bookstore buyers. They will not have time to talk to prospective authors. If you come, plan to walk the aisles with your hands firmly in your pockets and your lips sealed. You can observe, but don’t interfere. Jannette/Book Covers: I’ve seen some really bad covers too. The one that really sticks out to me is one where the heroine of the book is in her 40s, but the woman on the cover could not possibly more than 25. Geez, did the publisher/illustrator even read the book? Incognito at convention: No rose wearing for me. I have allergies. I understand that this is particularly unfair because I know who most of you are, recognizing you from your books or your posts which have photos. Sorry about that, but life is full of unfair circumstances. LatterdayAuthors.com: I love(d) this site. I’ve recommended it multiple times here. I think it is a huge support to authors. Unfortunately, if any of you have clicked that link lately, you will have gotten an error message. You can read an explanation for that here. Guest blogging: PLEASE send more. Please, please, please. Also, please copy and paste your guest blog within the body of the e-mail. Do not send it as an attachment. Since my computer crash several months ago, I’ve become very paranoid about viruses. Thanks, LDSP, for posting the link to the article about Latterday Authors. I’ve always had my suspicions about PD Wiles. She’s just too nice–always willing to help people, spending time on the site. Obvious signs she was really doing something devious. And, kudos to Bill for finally arresting her. He sure has a sense about criminal minds. He should write a book or something. For any of you who missed the 2 hour eulogy and the following 16 hour lecture from David Woolley, there’s a downloadable pdf file (it’ll take about 2 days to download since the file is a bit large). Even though I, as quoted in the article, didn’t understand all of his big words, I was so impressed with the way he “showed” the true emotions without “telling” us about it. A true sign of an exemplary wordsmith. To all of you who participated in the wake by bringing casseroles and playing the piano, you were just awesome and so supportive at a time like this. Thank you, LDSP, for allowing me to share my still raw emotions about the demise of Latterday Authors. Farewell, good friend! Don’t forget what Brother Woolley said in his eulogy–latterdayauthors (website and forum) will be resurrected and its html will be PERFECT! … well, it is true the site and forum will be resurrected soon … let’s hope I can at least get everything to work! Anyway, don’t remove us from your favorites list yet. I’ll get the word out as soon as the remodeling is complete. Thank you for answering my question. I hopwe you have a great time I may see you there. I’ll be the one with my hands in my pockets. 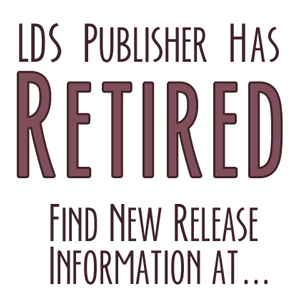 LDS Publisher Incognito you are invited to join the LDS Blog Webring I set up. You may do by going to my blogspot, locating the webring on the righthand side of the page and clicking on Join. Hope to see you come aboard. Be sure to insert the code on your blogspot right after signing up or it halts the progression of the webring as people click on next.